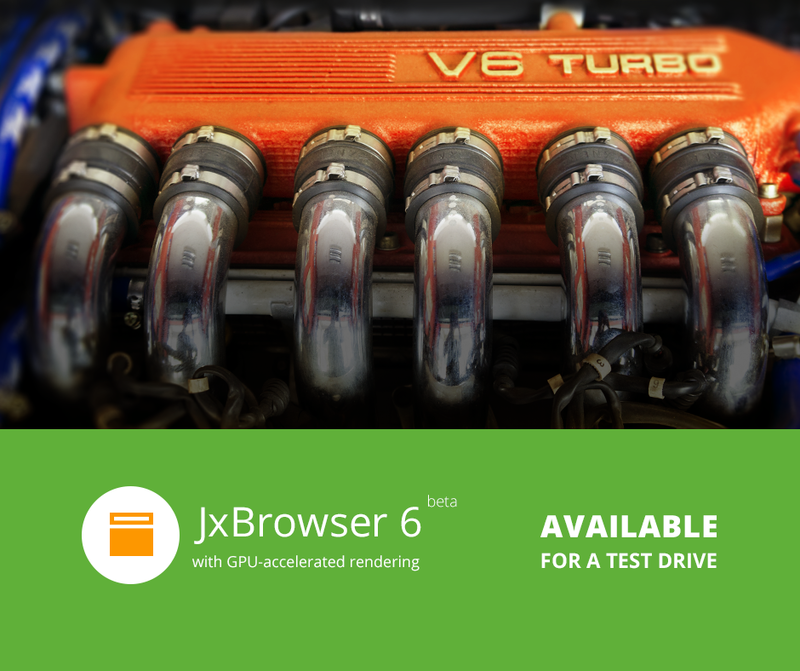 JxBrowser 6 beta has just been released and is available for download and free trial. You may get more information about these and other updates on this page. As always, we would be happy to hear your feedback on this new version. An important note. Starting with JxBrowser 6 official release we intend to launch a new licensing policy. Some insights about it are available on this page. And the great news for all the version 5.x users: the upgrade to 6.0 will be free of charge for you!